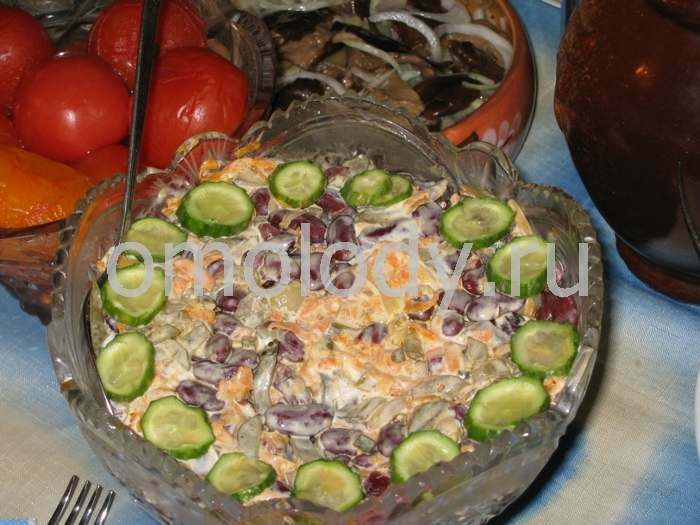 Beans salad with paprika. Recipes from Russia. 2. Place cooked beans in a serving dish add olive oil, than grated cheese and chopped red sweet paprika. Combine beans with fried vegetables. 3. Drizzle mayonnaise over beans. Decorate with parsley. Serve.